In 1940, in the shadow of World War II, G.H. Hardy, one of the great mathematicians of the twentieth century, published a short book called A Mathematician’s Apology. 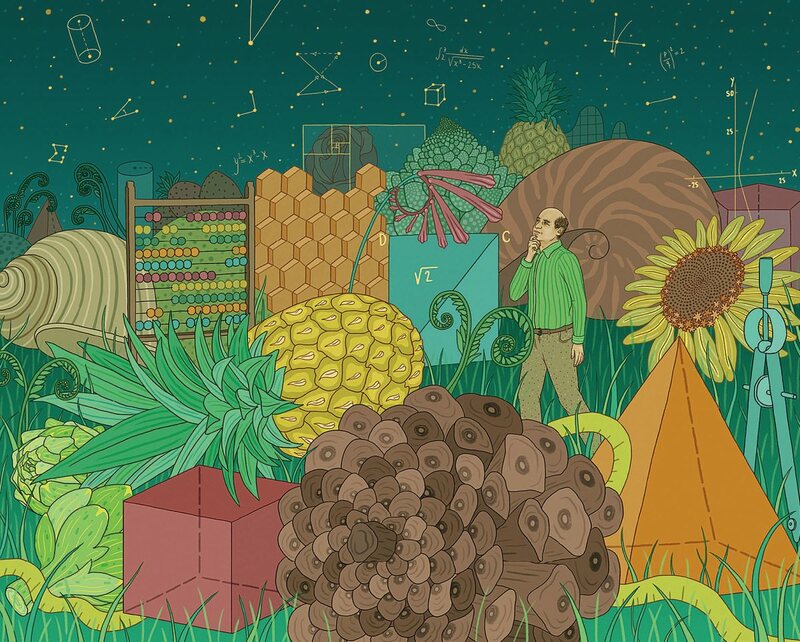 Hardy argued that the great bulk of higher mathematics—and in particular his branch of it, number theory—while useless, derives its worth from its enduring truth and beauty. If then I find myself writing, not mathematics but “about” mathematics, it is a confession of weakness, for which I may rightly be scorned or pitied by younger and more vigorous mathematicians. I write about mathematics because, like any other mathematician who has passed sixty, I have no longer the freshness of mind, the energy, or the patience to carry on effectively with my proper job. The world is now much changed. Advanced number theory is crucially applied to cryptology, enabling, among other things, fairly secure transmission of credit card, financial, and other data over the Internet—and presumably the spying activities of the National Security Agency. The attachment to Truth and Beauty felt by Hardy has been shaken to its foundations by postmodern thought. It is high time for Michael Harris’s book, mathematics without apologies. Note, for starters, the lack of capital letters in the title. Harris, also a great mathematician past the age of 60 (he is a professor at Columbia and the Université Paris Diderot), has written a very interesting, very peculiar, and very timely essay on the “what” and “why” of pure mathematics. Unless you are also a mathematician, you are not likely to have much understanding of the inner professional life of a mathematician, even if you have studied the subject for many years in school. Why is that? And should you care? If you do care, then this book may help explain why the essence of mathematics is so foreign to most people, how the practice of mathematics feels to the working research mathematician, and what attracts mathematicians to their work. By mixing memory and desire with mathematics, Harris has provided fresh responses to all the standard questions: “What do mathematicians do, actually?” “Hasn’t all mathematics already been discovered?” “Do you just add up numbers all day?” “Can you explain to me a little about your research?” Only a mathematician could have written these answers from the inside out. Harris also has a well-furnished vocabulary from outside mathematics with which to theorize about the sociology and psychology of mathematical practice. An analogy between mathematics and religion is apposite. In both, problems come first: in religion, problems of life; in mathematics, problems about patterns of numbers and shapes. Then a tradition, rooted in a human community, shapes responses to the problems, formulates refinements of the problems, and sometimes raises whole new issues. Harris takes Max Weber’s concept of charisma as basic in understanding the role of the “great” mathematicians in history and in our times. These “giants” both shape the field as to contents and methods and inspire their lesser contemporaries and all who follow to healthy emulation. Harris thus understands mathematics as a result of human beings’ mathematical activity, observed from the viewpoint of an amateur social scientist. He treats any ultimate connection between mathematics and “truth” either skeptically or elides it. As for “beauty” or “utility,” he explicitly denies that the pursuit of either can be the fundamental motivation of a pure mathematician. This approach embodies a postmodern perspective, which avoids ultimates. Instead of Hardy’s high-minded dictates, Harris focuses on mathematical research as a lived experience. His aim is to describe to a general audience the human experience in pursuit of pure mathematics. As a result, he tends to undercut most mathematicians’ conviction that their subject matter is objective and in fact “True” with a capital T. Harris calls that concept “Mathematics” with a capital M, which leads philosophically or logically minded people to seek irrefragable “foundations” for the subject. He regards “Mathematics” as a figment of the imagination and instead places the stress on “mathematics” as the output of a tradition mediated by the series of actual human mathematicians, leaving the question of truth—capitalized or not—somewhat vague. The core chapters of the book describe how intuition functions in advanced mathematical research. Outsiders often think that mathematics is all cut-and-dried logic. Not so. Harris shows how many of the most important ideas that drive the subject forward are nebulous, suggestive, not strictly logical at all. Harris rounds out this argument with an autobiographical account of a three-month period of research inspired by a fuzzy dream. The dream hinted at an unexpected way to study certain profound number-theoretic properties of groups of matrices by transferring well-known techniques from related areas of algebra and geometry to the case at hand. The account shows how some mathematical research is influenced by unconscious thought processes—perhaps, Harris speculates, driven by envy—even as he documents discussions with other people, e-mails, research papers, lectures, and seminars. Unfortunately, despite the personal approach, this chapter and its footnotes present the mathematical material at a very high level, with all the jargon and ideas intact, and my guess is, this may sound mostly like white noise for readers lacking background in the field. That’s regrettable, because it is an authentic account of research performed at a high level of competency and creativity, so one hopes a sense of the ideas’ complexity and connections will come across nevertheless. Other, interspersed chapters of mathematical exposition explain, in an entertaining and elementary way, some problems in number theory extending from ancient Greek examples to the most up-to-date. These ideas, problems, and theorems include basic properties of prime numbers, solutions of algebraic equations in one and two variables with integral coefficients (rational, irrational, and transcendental), and congruences among the integral solutions. They culminate in recently solved and currently unsolved problems involving elliptic curves (cubic equations in two variables.) These explanations should be accessible to anyone who knows high-school math. I learned something new on almost every page. For example, Harris endorses the ancient Greek mathematician and philosopher Eudoxus’s association of the pursuit of mathematics with the pleasure it brings practitioners. In his modern formulation, Harris writes, “The short answer to the ‘why’ question is going to be that mathematicians engage in mathematics because it gives us pleasure”—very much of a piece with his larger account of mathematics as human enterprise, rather than as any greater quest for an abstract truth. Granting the book’s pleasures and insights—there is rarely a dull moment—Harris’s writing is at times choppy, jumping from one level of discourse to another. It can be hard to follow the nuances and consequences and connections among the ideas in their rapid flow. With that caveat, I would recommend mathematics without apologies to anyone curious about what it is like to be a modern practitioner of this ancient field. You will encounter a unique, unapologetic account of the being (or Being?) of mathematicians. Avner Ash ’71, Ph.D.’75 , is professor of mathematics at Boston College, specializing in number theory. His forthcoming book Summing It Up (with Robert Gross) will be published by Princeton University Press.